Sustainable Ōtautahi Christchurch (SOC) is an incorporated membership society, formed in 2005, which carries on the vision of two previous local voluntary organisations, Sustainable Cities Trust and Christchurch-Ōtautahi Agenda 21 Forum. Our Annual General Meeting, which elects an executive committee from the membership, is held in June. Click here for information on the SOC Constitution. 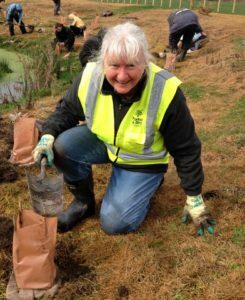 Sustainable Ōtautahi Christchurch looks to find core and critical pathways to a strongly sustainable future for Christchurch/Ōtautahi and our environs in partnership with other individuals, groups and agencies attempting to do the same. After years spent trying to defend nature including as Chairperson of the North Canterbury branch of Forest & Bird for three years 2015-18 I have decided my time and energy would best be used in trying to help re-organise humanity so we pull back and give nature space; room to breath and survive. My work at Orana Wildlife Park crystallises for me the links from the local to the global. SOC is a “think tank with attitude” that ACTS and it fits perfectly with my aspirations and ideas about work needed to shift humanity from our self- destructive path. Please join us.